Neal’s Yard Remedies believe that nature provides everything we need to enjoy great health, beauty and well-being. They have spent 30 years formulating their award-winning product range. I am a NYR Organic specialist and use NYR Organic products for facial and massage treatments at The Pamper Pod. In our day-to-day lives, we take in numerous synthetic chemicals through food, toiletries and the environment. The increase in conditions such as eczema, allergies and even cancers has been linked to these harmful chemicals. By using organic ingredients on our body, we can reduce the amount of chemicals absorbed by our skin. Neal’s Yard Remedies have transformed nature’s purest ingredients into luxurious and effective skincare products that we can trust. Neal’s Yard Remedies believe that nature provides everything we need to enjoy great health, beauty and well-being. They have spent 30 years formulating their award-winning product range, using herbs and flowers packed with therapeutic properties. The company promotes a more natural and holistic way of life. Their products have been certified by the Soil Association, guaranteeing the highest possible level of organic ingredients. The tree in the NYR logo symbolises their belief that beauty is the outer expression of inner health. NYR Organic products are researched, developed and handmade at their eco-factory in Dorset. I attend workshops at Brighton City College as a guest speaker, promoting Neal's Yard Remedies to students of health and beauty as part of their enrichment programme. 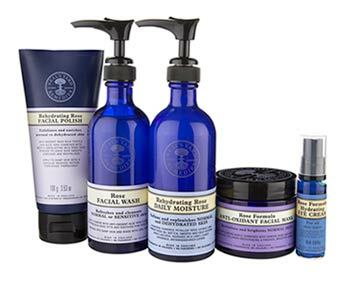 For a more natural, less synthetic, skincare range visit the online NYR Organic shop or book a NYR Organic treatment at The Pamper Pod. Are you interested in running your own business and making a difference to people's lives? You too could be part of an award winning company that's genuinely commited to training ethically and sustainably. For only £95, receive a starter kit, free training, a personalised website and ongoing support from me to establish your business. if additional income and flexible hours appeal, call me today on 07949 461329. Sign up here to receive special offers which are primarily sent out via the newsletter.